This is the fourth game in the City Island series, so if you’ve played the previous titles before, you probably have a good idea of where to start out in the game. 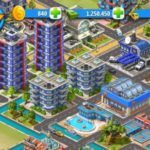 But if this game and the series itself are both new to you, we recommend that you to check out our City Island 4: Sim Town Tycoon tips and hints for first-time tycoons. This also applies to other city-building games, and is probably one of the most basic things you have to remember about this game. Starting construction on a new building or upgrading an existing one takes a while to complete, and in the early goings, it wouldn’t hurt to let time pass as the building/upgrading process continues. But since wait times can get to be unbearable, you have the option to make use of the time lapse cheat. Go to your phone or tablet’s settings, move the time ahead by the duration the longest job to complete will be done, and return to the game with all your building/upgrade jobs complete. There are many things that you can upgrade in this game, but your construction company is the first and foremost building you should focus on upgrading. The higher the level of your construction company, the more jobs or tasks you can do simultaneously. Yes, 16 jobs at the same time does sound like a handful, but remember that you can get more than just one island, which means a plethora of jobs to complete. Those 16 jobs will suddenly feel very lacking, so make sure you’re upgrading your construction company, with each upgrade adding four more jobs to your maximum limit. 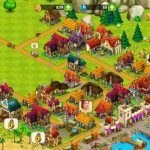 Want to earn free gold in City Island 4? In the rewards section, you’ll see the option to watch an ad video. Choose that option and watch an ad for about 30 seconds tops, and you’ll be rewarded with some free gold. Take note the operative word here is “some,” as one video will make little difference in the grand scheme of things, but you can technically keep watching videos as long as the game is serving them up. 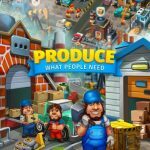 The folks at Sparkling Society have thankfully made it easy for gamers to earn free gold in the game. You can simply go to the in-app store and go to the Free button, which can be found after you scroll all the way down. Tap on the Free button and you’ll be served up a list of free offers, courtesy of TapJoy. Accepting the “Sign into TapJoy” offer is also helpful, as you’ll be served up a separate wall loaded with offers. Word of caution, though – make sure you choose the offers wisely, as some of them are simply impossible to complete! While we’re still in the topic of earning free stuff, you can also go to the game’s rewards section, which we mentioned in brief earlier. This is actually where you will find a list of milestones, which should be very helpful if you’re not quite sure how or where to proceed. Accomplishing the listed milestones will earn you free gold, as well as other goodies. One basic rule of thumb when it comes to keeping your population happy (or making them happy) is that it becomes harder as your population increases. You want to build parks and other community areas to amuse your townspeople, and upgrade them regularly like you do to your residential and commercial buildings, which allow you to add to your population and earn more money respectively. 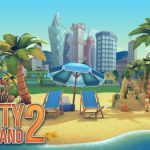 For now, these would be our tips and hints for Sparkling Society’s new game, City Island 4: Sim Town Tycoon. We will update this guide, whenever we come up with additional hints, so stay tuned! 1). What does it mean when some of the dollars earned are yellow instead of green? 2). What are the time clocks for, that show up and count down Occasionally? 3). What do the tripple star cards mean that come up in the collect chest cards? 4). When I build an item that is supposed to add happiness, why isn’t that amount added to my happiness Score? Sometimes it will only add a one or two instead of the listed amount on the item bought. The yellow points help you level up and the happiness you would divide that from your population you don’t get all the points that they tell you. It took me awhile as well. It sure is a fun game I am having a hard time with employees I think I have to add more housing.